A surprise cake (I think) for the lovely Lynne on her 60th birthday. 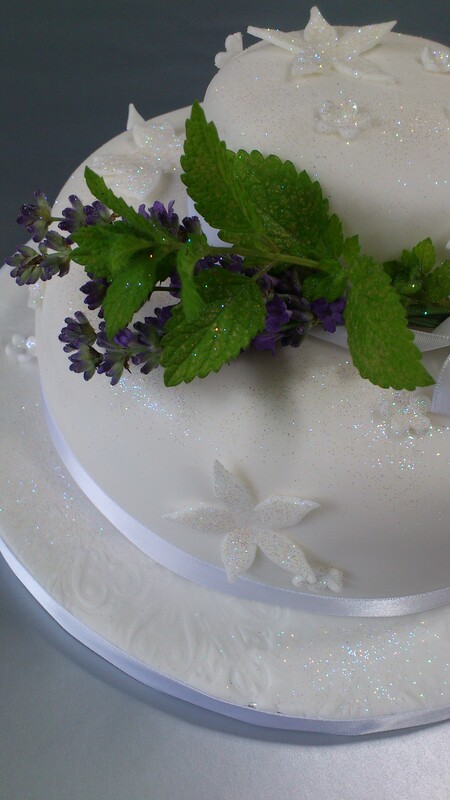 Embossed board, sugar flowers and butterflies completely covered in edible glitter (of course) and fresh lavender and lemon mint from my very own garden! My mother and mother-in-law would be proud! HAPPY BIRTHDAY LYNNE x hope Jinx didn’t nick all the butterflies!